Have you written a novel and are looking for romance publishers accepting submissions? Here are 21 for you to take a look at. 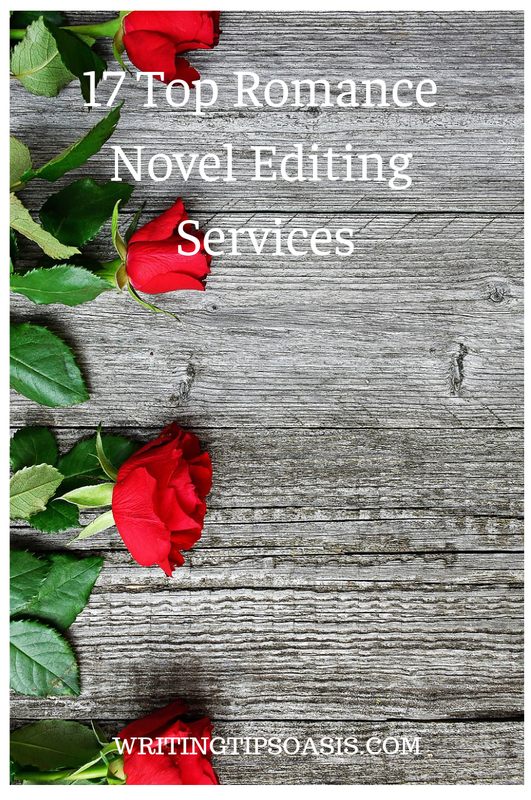 If you’re not ready to send your manuscript to a publisher or a literary agent because you still need to get your book edited, below you’ll find 17 top providers of romance novel editing services. Note: Always due your due diligence before choosing an editor including any of the following to edit your book. Ensure you are happy with the individual’s experience and editing approach. Stacey Jerger is a freelance editor who specializes in editing romance novels. She is an official member of the Editorial Freelancers Association, the RWA, and the Bay Area Editors’ Forum. She has worked on projects like “Sweet Surrender" by Nina Lane, “Beautiful Temptation" by Olivia Adams, and “The Lucky Charm" by Beth Bolden. Stacey likes to work with traditionally published authors, independent authors, and even new authors hoping to make a big impact with their first story. She offers editing services like developmental reports, line editing, and quick consultations. For more information about her services and rates, you’re strongly encouraged to check out her editing services page on her website. If you’re interested in having Stacey edit your manuscript, you can reach her through her website’s online contact form. Be sure to include your contact information and indicate the type of editing service you believe your manuscript needs. Karen Dale Harris is a freelance editor who specializes in romance novels and novellas. She has worked with several New York Times bestselling authors like Nina Lane, Simone Elkeles, and Amazon bestselling author LJ Shen. She has over fifteen years of experience and is an official member of Romance Writers of America. She is able to edit all types of romance, including new adult, paranormal, fantasy, erotica, women’s fiction, and more. Karen offers content editing, copyediting, and a package involving the first two services in what she calls the two-stage edit. Her content editing service starts at a rate of $0.022 – $0.035 per word and her copyediting service starts at a rate of $0.015 – $0.03 per word. She can provide a quote for a two-stage edit upon request. Karen also reads a sample of the manuscript before taking on a new client. If you’re interested in working with Karen, you can reach her through her website’s online contact form. Madison Eidler is a freelance editor and founder of Madison Eidler Editing Services. She is able to edit a wide range of fiction, including romantic fiction of any length. Editing services that she offers includes proofreading (starting at $0.09 per word), copy editing (starting at $0.013 per word), and developmental editing. Depending on the length of your manuscript, her developmental editing rate may vary, so it’s a good idea to contact Madison for a free quote. If you’re interested in working with Madison, the best way to reach her is through her website’s online contact form or via email. She does note that she is currently book editing projects six months in advance to avoid time constraints and rushed editing. If you’re an author in need of a rush job, a 10% rush job fee will be applied to your order. Cate Hogan is a freelance developmental fiction editor who is capable of working on a wide range of genres, including romantic fiction. She’s worked on bestselling novels like “Boss with Benefits" by Talia Hunter, “Configured" by Jenetta Penner, and “How to Capture A Duke" by Bianca Blythe. Cate offers a wide range of editing services, including story outline assessments, manuscript assessments, developmental editing, spot checking, and text editing. She also offers trial edits for a flat fee of $20. Her editing rates vary depending on the type of service you need, so it’s highly recommended that you check out her service and rates page. If you’re interested in working with Cate, you can contact her either via email or through her website’s online contact form. She also has a short five-minute survey that you can fill out and submit to her concerning your manuscript editing needs. This survey will help give her a better sense of your book, including things like word count, genre, whether it’s a part of a series or a standalone novel, your publishing plans, and your experience as a writer. Rachel Daven Skinner is a freelance editor and owner of Romance Refined, and editing service that specializes in romance novels, and commercial fiction with romantic elements. Rachel likes to work with publishers, self-publishing authors, and independent writers to perfect their romance manuscripts prior to submission to literary agencies and publishing companies. Rachel is capable of editing all romance subgenres and is able to edit in both American and British English. She offers a wide range of editing services including manuscript assessments, developmental editing, substantive editing, line editing, copyediting, and proofreading. She is currently closed to accepting new clients at this time, but is still available for beta reading bookings. For general inquiries, or to find out when she’ll be open to take new clients, you can contact her through her website’s online contact form or via email. It’s a good idea to review her editing rates to get a sense of the type of editing you’ll need. Rachel is happy to provide a free sample edit to give you a better sense of her editing style and capabilities. Helena Fairfax is a UK-based freelance editor specializing in the romance genre. She loves to work with independent and self-publishing authors, and is at the ready to help make your manuscript shine! She is more than happy to provide a sample edit of the first 5k words of your manuscript for a flat fee of £50, along with a synopsis of your novel. Other editing services that she offers includes manuscript assessments, developmental editing, copyediting, and line editing. The best way to get in contact with Helena is through her website’s online contact form. Be sure to mention the title of your book, the type of editing service you’re looking for, along with the approximate word count of your project so that she can get back to you with a more accurate project quote. Alternatively, you can also reach out to her via Facebook or Twitter. Kelly Lynne is an editor with Editing-Writing-Proofreading. Some of the projects that she’s worked on have gone on to be published by companies like Kensington Publishing, Carina Press, Awe-Struck Publishing, and more. Kelly specializes in editing contemporary western and light paranormal romances, but is also able to edit other genres like science fiction, young adult, and supernatural. She’s worked on contemporary romance projects like “The Millionaire" by Sandra Bunino Marooned, “It’s a Crime" by C.E. Hansen, and “No Reason to Run" by Michelle Howard. Kelly specializes in developmental editing, which mean she will identify and correct any issues with plot continuity, character traits, critique story plot, reduce clichés, redundancies, wordiness, and vagueness. She is also able to format manuscripts for self-publishing platforms like Kindle. If you’re interested in working with Kelly, you can request a free, no obligation project quote here. Serena Clarke is a New Zealand-based freelance editor and founder of Free Bird Editing. She likes to work on romance projects (regardless of heat level), but is also able to edit women’s fiction, romantic suspense, mystery, paranormal, fantasy, urban fantasy, thrillers, and non-fiction manuscripts. As a published author herself, Serena knows exactly what it takes to polish a manuscript to perfection. Editing services that she offers includes copyediting and line editing (starting at $0.008 per word), and proofreading services (starting at $0.006 per word). She is more than happy to provide a free sample edit of the first 3k words of your manuscript to give you a sense of her editing style and capabilities. If you’re interested in working with Serena, you can reach out to her through her website’s online contact form. Stacy Juba is a freelance editor and founder of Crossroads Editing Service. Stacy herself is an accomplished author, having written “Face-Off" and “Prancing Around with Sleeping Beauty." She’s also won several awards and accolades for articles she’s written. She edits everything from adult mystery, romance, chick lit, contemporary fiction, and more. She offers full manuscript edits, which includes developmental editing and line editing. Her clients will also receive an in-depth editorial letter which offers her thoughts on things like content, structure, characterization, and more. For a more accurate project quote, you can contact Stacy via email. Melissa Bourbon Ramirez, also known as Misa, is a freelance editor and bestselling author who specializes in general fiction, women’s fiction, and romance. Services that she offers includes line editing and manuscript critiques. Depending on the length of your manuscript, the project fee may vary, so it’s a good idea to reach out to Misa to request a more accurate project quote. The best way to reach her is via her website’s online contact form. Jen Graybeal is a freelance editor and founder of Jen Graybeal Editing Services. She loves to work on self-published romance and mystery manuscripts, but is also eager to help traditionally published authors, too. Jen is an official member of the Silicon Valley Romance writers of America, the Romance Writers of America, and the Editorial Freelancers Association. With a BA in English from the University of Washington, Jen knows exactly what it takes to make a story standout from the rest of the crowd. Editing services that she offers includes line editing and copyediting (starting at $0.015 per word), proofreading (starting at $0.007 per word), blurb writing ($60) and blurb editing ($30), and developmental editing and submission support (rates negotiable). If you’re interested in working with Jen, the best way to reach her is through her website’s online contact form. Jenny Proctor is a freelance editor specializing in romance, including subgenres of historical romance, regency romance, contemporary, inspiration, and young adult romance. As a fellow romance author, Jenny knows exactly what it takes to make a compelling and juicy romantic story. She is happy to provide a free sample edit of the first 1000 words of your manuscript to give you a better sense of her editing style. Editing services that she offers includes plot consultation and brainstorming (starting at $35 per hour), developmental editing ($125 for projects between 55k-90k words in length), deep line and cop editing (starting at $50 per 10k words), proofreading ($25 per 10k words), as well as ebook formatting and print book formatting (starting at $60). If you’re interested in having Jenny edit your project, you can reach her through her website’s online contact form. Erica Russikoff is a freelance editor and founder of Erica Edits. She loves to work with independent authors of fiction, nonfiction, new adult contemporary romance, and erotica. She’s worked with several New York Times bestselling authors like Laurelin Paige, Tarryn Fisher, and Pepper Winters. She offers a wide range of editing services including copy editing and line editing (starting at $0.0085 per word), proofreading (starting at $0.006 per word), final manuscript checks (starting at $0.0015 per word), and all-in-one editing packages (starting at $0.013 per word). If you’re interested in working with Erica, you can reach her through her website’s online contact form or via email to request a free project quote. Sarah Calfee is a freelance editor and founder of Three Little Words Romance Editing. She loves to work with authors who’ve written happily ever afters, and is capable of editing any type of romantic subgenre. Sarah is happy to provide prospective clients with a free sample edit for the first 500 to 800 words of your manuscript, and is more than happy to discuss project fees with you. Sarah offers editorial reports, in-manuscript comments, sixty-minute Skype consultations, developmental editing with two manuscript passes, as well as line and copyediting to clean up your manuscript to prepare it for submission. The best way to reach Sarah is either via email or through her website’s online contact form. Be sure to ask for a project quote, and don’t be shy if you happen to have any questions! Bronwen Evans is a USA Today bestselling author, who also happens to offer editing services for romance writers. She’s written books like “A Kiss of Lies," “To Dare the Duke of Dangerfield," and “Invitation to Ruin." She offers developmental editing, copyediting, and even offers back cover copy, query letter, and submission letter edits for authors ready for submission. For more information, you’re strongly encouraged to check out her editing services on her website. Since Bronwen has a very busy writing schedule, it’s best to contact her either via email or through her website’s online contact form to see if she is available to provide her editing services. CeCe Carroll is a freelance editor who specializes in the genre of romance, including the subgenres of young adult, new adult, contemporary, historical, paranormal, and erotica. She loves to work with independent and self-publishing authors, but is also open to working with authors hoping to publish through traditional means. She’s worked with bestselling authors like Katy Evans and Aven Ellis. CeCe offers line editing, copyediting, proofreading, content editing, and developmental editing. Be sure to check out her website for more information and her service rates. She is happy to provide sample edits for the first 1000 words of your manuscript to give you a better sense of her skills. You can reach CeCe either via email or through her website’s online contact form to request a free project quote or to get started on your editing journey together. Sara Pesce is a freelance editor and founder of Lopt & Cropt, a book editing service. Sarah specializes in working with romance writers, and is especially interested in working on projects with HEA with progressive, feminist viewpoints. She’s worked on projects like “Once Upon A Bride" by Jenny Holiday, “Stepped in Love" by Julie Evelyn Joyce, and “All the Things I Know" by Audrey Ryan. Services that she offers includes copyediting, manuscript critiques, all-in-one editing, final edits, and developmental editing. She also offers book coaching, and marketing brainstorming for independent and self-publishing authors to help get the word out about their books. Since all manuscripts vary in length, steam level, and subgenres, it’s highly recommended that you contact Sara through her website’s online contact form to request a free project quote. 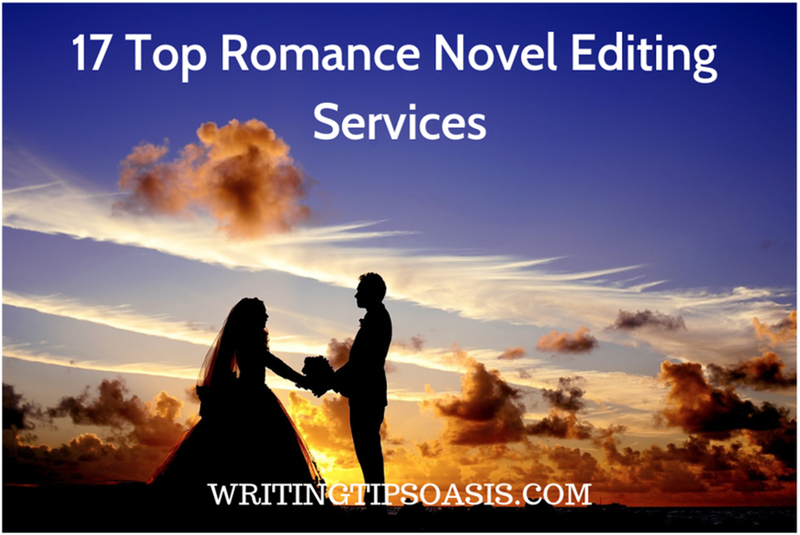 Are there any other providers of romance editing services that should be on this list? Please tell us about them in the comments box below!